There are already more than a few streaming services available but Samsung thinks that its app is the best one of all. On Friday, Samsung introduced Milk Music, a service that is currently free but will only be available for Galaxy smartphones. Milk Music uses Slacker which is an odd move considering that Slacker already has its own music streaming service but does charge $4 per month for the removal of ads. 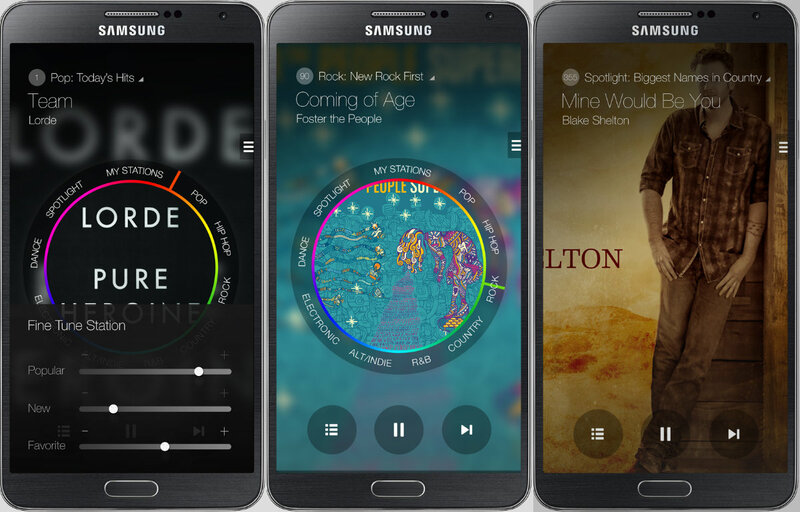 Design may very well be more important to Samsung with Milk Music considering that the layout of the app is one of the few things that sets it apart from other services like Spotify and iTunes Radio. At the center of the design is a wheel control that allows users to switch between different types of music and stations that have been set up. Samsung does allow people to get relatively in-depth with their music choices, as it has included three additional sliders that can be adjusted for when music was released, the popularity of the music, and how similar the songs are to a user’s history. By tinkering with these options, the genres, and the sub-genres, it should be quite easy to end up with a constant stream of good, relevant music. The algorithms that power other services have also become very accurate and complex but Samsung seems to include more upfront options than some of Milk Music’s competitors. Unlike with many of the other music streaming services that have been introduced, Samsung was able to focus on Milk Music’s design rather than running around to secure deals with music providers. Accessing Slacker’s 13 million song library allows Milk Music to function without Samsung doing nearly as much work. Samsung has already released its app on the Google Play Store for people in the US and while it does work with most Galaxy devices, phones from other companies don’t support the app. Summary: Samsung has introduced Milk Music, a free music streaming service intended for its Galaxy phones. Milk Music has access to Slacker’s music library of 13 million tracks. The app’s design is unique and users have many options to tinker with to create a good stream of songs.